Easter Eggstravaganza at Holyoke Mall! Stop by Holyoke Mall from March 30th to April 20th during mall hours to visit with and take pictures with the Easter Bunny! We’re ready for Spring! Join us for the Easter Bunny’s arrival on Saturday, March 30th at 10 am in Café square! Fun activities for kids, including a craft with Macaroni Kid, face painting, photos with the Easter Bunny and Ed Popielarczyk will perform his Spring magic act. 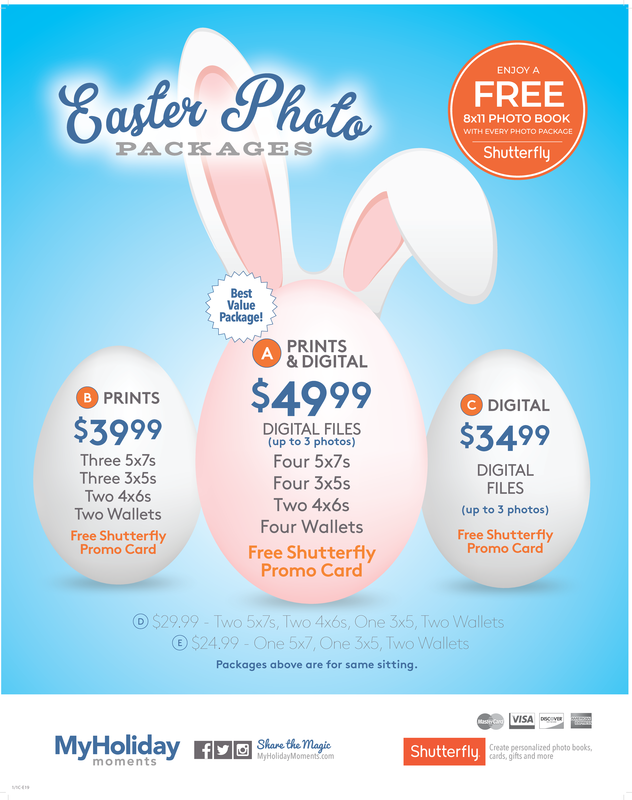 The event and activities are free and various Easter Bunny photo packages will be available for purchase. 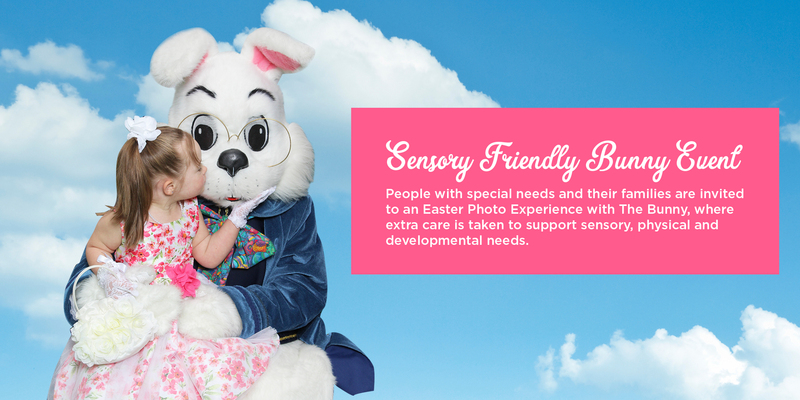 People within every spectrum of special needs and their families are invited to a private photo session, to experience the time-honored tradition of a visit with the Easter Bunny during dedicated hours. Please reserve your complimentary ticket on EventBrite- ONE TICKET per group/family, please. Families are encouraged to arrive at any time during their scheduled 15-minute time period. Upon arrival, one of the bunny’s helpers will provide you with a number so that your family does not have to stand in a line until they are ready for you. The event will be held at the bunny set in Cafe Square. Bring your furry friends to Holyoke Mall on Monday, April 8th from 6:00 to 8:00 pm in Cafe Square, to visit with the Easter Bunny! The Easter Bunny is comfortable with most pets, however, please leave snakes and rodents at home.